With over 20 years’ experience in PR and marketing, I can shape your stories and ensure they are communicated to those who need to hear them. As a freelance PR consultant, I have the flexibility and experience to formulate, develop and manage a PR programme tailored to your business needs. I believe in honesty and integrity and offer a clear approach to your communications. My services include: strategic PR consultancy, media relations, social media content creation and management, copywriting including website content and bid writing for charities. Need ad-hoc help at busy times or when promotion is needed for a new product, service, or event. I am based in Tunbridge Wells, Kent but operate all over the South East and London. I work with a carefully selected group of experienced professionals including graphic and web designers and website builders, photographers and film makers and others as needed, to offer a tailor-made, cost effective service, whether it is for a retained campaign or a short project. Find out more about PR in Tunbridge Wells. Not all business networking groups are the same. Some are more formal than others, some are more structured. It’s important that you find the right style of networking that suits you the best, and also a networking group that can relate to and get along with. So before you jump in the deep-end, try a couple of groups out to see which one suits you. 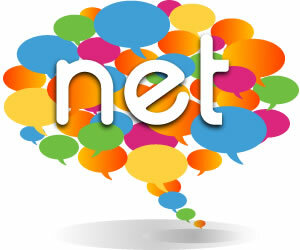 For example, the Net is relatively informal. The organisers felt that many other business networking events placed too great an emphasis on structure and not enough on the actual networking side itself –hence the Net was born. Business networking isn’t about selling – that’s what you do with customers and clients. Networking is all about building and developing relationships with people that can potentially benefit your business by recommending you to their contacts and customers. Word of mouth advertising – being recommended – is the most powerful and cost-effective form of marketing there is. Use networking events to build a network of people that will be happy to recommend you in this way. Use networking events to teach people about who and what you are, as a person as well as a business, build relationships and be clear and consistent on what you are looking for in terms of leads. Remember, people buy people first. Networking is all about building trust with other, similar like minded business people. In order to build trust, be genuine. Trying to be something you’re not won’t last forever, and when people find out, in quite simple terms, they won’t trust you as much. Use networking to build your own personal brand of trust and integrity – so that your fellow networkers can come to trust you. If you’re a person they can trust personally, then they will trust you professionally. Remember, networking is all about developing long term relationships. Trying to reap the rewards of networking in the initial stages will make you seem like a taker – and no one like a taker. Give people leads, or introductions. Help people at events, give testimonials, give advice freely (if it’s wanted that is). By giving, you will build your own personal brand as someone who is trustworthy and integral – someone people can do business with. By giving you build your social capital within the network, which longer term, will reap rewards. After networking, spend some time following up the contacts you have made at the event. This benefits you in two ways. Firstly, it help builds the relationship you have initiated (by following up on subjects discussed or just to say thanks for something, you are more likely to be remembered), and secondly, it demonstrates your professionalism and your intent on networking effectively. The actual attending of a networking event is arguably the easy part. It’s the following up that many people find hard. By following up your contacts you can stand out from the crowd as being someone who goes the extra mile. Before you attend any networking event, develop a series of objectives and a plan to attain those objectives. Know before you go to the event what you want out of it, for example; Do you want to get to know two or three people really well? Do you want to talk to one person in particular? What type of leads or introductions are you after. If you have an objective and a plan for your networking, it’s easier to stay focussed.